Whether most people realise it or not, one of the largest investments they will make over the course of their lives will be in clothes and shoes. In fact, across Australia an average of $44 dollars is spent on clothing per week for every man, woman and child. The questions that beg to be answered here is, why is it we spend so much on dressing ourselves and give so little thought to how we store and take care of the things we are investing our money in? Having a custom wardrobe designed and built isn’t that expensive and by keeping our belongings organized and properly stored not only will help extend their useful life, but will also save us loads of time by making things easier to lay our hands on when we need them. The process is really quite simple and besides being extremely practical, a custom wardrobe can actually improve the aesthetics of and beautify our homes. The first thing that we need to look at when we start designing you a custom wardrobe is what you are expecting to store in it. If you collect shoes, then you will have to have shoe racks to display them on of course. If you wear long gowns or have long coats, then you will need a high or long hang bars, but if your style leans more to shirts, blouses, pants, short skirts and jackets, then a double hang arrangement will double your storage space. Will you be keeping T-shirts, sweaters, and bags in your wardrobe? If so, you will need shelves or drawers, depending on your taste and size of your bags. Do you have ties, belts or scarves that will need to be hung? All of these considerations have to be taken into account so start by making a list of what items you most want to keep in your wardrobe and if you have limited space set their priority in case you have to make trade-offs. Now that you know what you need space for and how strong a system you are going to need, it is finally time to look at your space. This doesn’t just mean how much space you have available. It includes your décor and the type of space you want to create. 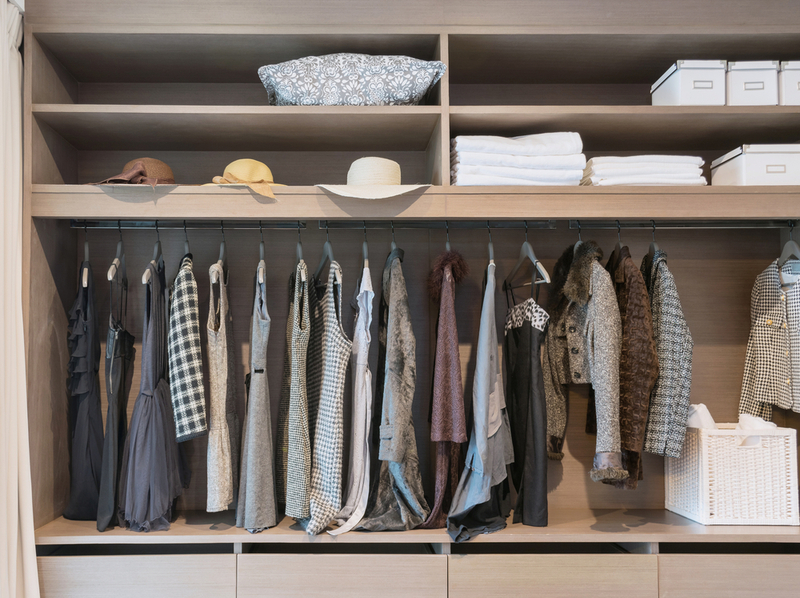 A major advantage to having a custom wardrobe is that besides being designed to maximize your storage space it can also be tailored to express your own unique sense of style and fashion. Whether your taste runs to ultra modern utilitarian racks or classic hardwood chests you can have the wardrobe that matches you and your decor built to your exact specifications. A wardrobe can be anything from a simple corner cabinet to an entire room dedicated to relaxing and preparing yourself. It can be down to earth or an extravagant work of art. When you have it custom built, your wardrobe can be anything and everything you could want it to be. Whether your bedroom is expansive, vast or cozy, a custom built wardrobe is now an affordable option that can be worked into any renovation budget. As manufacturing processes have improved and building materials reduced in cost, custom wardrobes and shelving is within the reach of the almost all and can be incorporated into your private space. This is an unprecedented option to create a space that is perfect for your home. Custom built wardrobes allow homeowners to utilise space wisely. By designing the exact type and number of drawers needed, you can ensure there is no wasted space and nothing included that is not needed. What good is a tie rack for a businesswoman or a lingerie drawer for a grandfather? Why not ensure you get exactly the storage space you need, with no wasted space or useless options? This is not only possible, but also affordable. An ideal option for anyone with disabilities or special needs, you can now choose design options that work for your daily life. A custom wardrobe can work for you and make your life easier. A custom designed wardrobe is a great option for placing storage right at your fingertips, without ever having the frustration of shelving that is too high to be used, too low to empty easily or awkwardly sized. They can be mixed and matched with deep storage drawers, hanging space, compartments for sorting and a variety of other storage options. Wardrobes designed to your space can be incorporated to any style. Modern finishes or traditional standards are options that will match with your current decor. Hardware can be matched to coordinate with your existing color scheme and dimensions can be designed to ensure easy cleaning . A custom built wardrobe is a luxury that is now within reach, why not make your bedroom space a beautiful and relaxing living space? Why is the pantry so overlooked ? The kitchen is the heartbeat of your home. Memories are made in the kitchen, secrets are shared and traditions are created and passed down. The warm scents of baked delights or the savory aroma of a hearty meal never fails to delight and entice. It is impossible to ignore the importance of planning your kitchen space and creating an inviting and efficient design, while keeping the process simple and affordable. A custom pantry, large or small, can allow homeowners the freedom to create a space that meets their needs, while increasing a home’s value and appeal. Creating a space for all the items needed to create kitchen magic need not be a hassle, requiring blueprints or the contemplation of tearing out walls. A simple unused corner, cupboard or even a spare closet can be transformed into a pantry that can help organize your home, creating clean lines and orderliness. 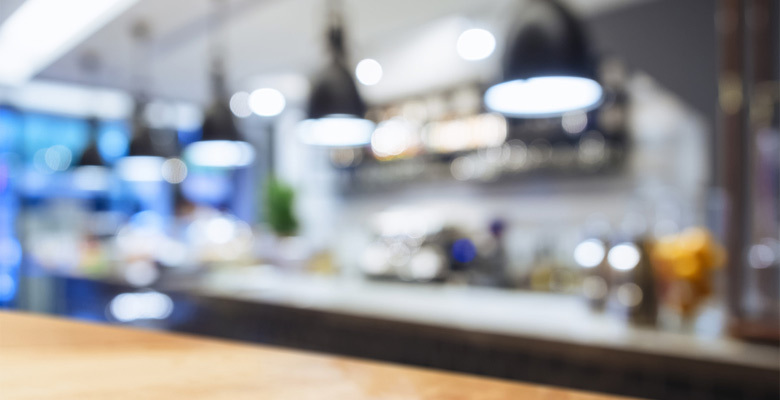 Getting rid of cluttered counters and jam packed cupboards ranks high on the wish lists of most homeowners and a custom pantry can make those dreams a reality. When designing a custom pantry, the first step is to find unused space in the kitchen. Don’t be picky. Narrow areas between appliances can be great hide-a-ways for sliding doors, low lying cupboards can be transformed with turntables and a narrow closet or cupboard can find new life with shelving and baskets. Make a list of all the spaces in your kitchen that are gathering dust or going unused and don’t count any space out. Even the smallest spaces can hide great potential. As you add shelving and storage, consider what you normally need space for. Bakers are going to value heavy duty shelving that can hold hefty bags of flour, sugar, and salt. Gourmands will be impressed with neat trays for endless arrays of herbs. Consider your needs rather than just being impressed with the latest storage fads. If you have never needed 10 different types of oils, don’t assume you will once you have a pantry. Lastly, create a space for open items. Pantries in magazines and online are rigorously arranged with everything neatly placed, and oddly unopened. Homes are real places where real people live. Consider storage for items in use. Make sure your pantry works for how you live. No matter how beautiful it looks online, if it doesn’t meet your needs, it’s not going to save you time or money. Choose wisely and choose with your family in mind. Did you know Mirror Doors not only look great, but also make a small room appear larger! While most homes feature a mirror in the bathroom or bedroom, few households have mastered the art of using mirrors to make their living space appear brighter, larger and more welcoming. By strategically placing a couple large mirrors around your home, you can have a significant impact on the feel of your décor. However, small rooms with little wall space can make it challenging to place a mirror. Herein lies the beauty of mirrored doors: they are the perfect solution for subtly incorporating large mirrors without using up valuable wall space. Keep reading to find out why large mirrors, such as mirrored doors, are an interior decorator’s best friend. Mirrors reflect both artificial light and natural sunlight, making them the ideal design element for small spaces. By installing a mirrored door where it will be positioned across from or angled toward a light source, you can catch the light and allow it to more effectively spread throughout the room. This is an ideal solution for small spaces, as it eliminates the need to have a light source in every corner of the room. Windows naturally open up a space, allowing sun light to filter in and letting the room’s occupants enjoy nature’s soothing colors. Rooms without windows, especially small rooms, can feel cramped, gloomy and uninviting. To visually warm up a windowless room, consider using glossy paint and decorate with glass accents. A mirrored door, coupled with a variety of ambient lighting solutions, can open up a windowless room and create the illusion of a window by creating an additional light source on the wall. Any space, regardless of its size, needs to flow visually. Mirrored doors offer an ideal way to create a clutter-free look while broadening the room. By creating an open flow, even a small space can appear bright, airy and inviting. Are you interested in incorporating mirrored doors into your home’s décor? We can worth with you to develop customized solutions that will open up even the smallest rooms in your home. The versatile and sophisticated shelving cube is all the rage in custom interior design, and for good reason. Shelving cubes can be designed to fit any sized space, big or small, and even those with odd or uneven dimensions. Shelving cubes come in a multitude of styles, colors and finishes. The most popular designs offer a rainbow of colours to select from. Many styles have an open back and can be hung from the wall, though to custom building, you can choose the shelving cubes that fit your needs perfectly. Shelving cubes can help you get your hectic lifestyle under control and organize daily life. Labeled and hung near the entryway, cubes are ideal for storing children’s backpacks, shoes and winter weather accessories. In a guest bathroom they make the perfect hideaway for extra towels and linens. Added to a kitchen or pantry, shelving cubes let you finally organize all those spices, bottles and spare china lying around your cabinets, stealing precious space. With a bit of creativity and unique placement, shelving cubes can make fun wine storage, media organizer and even a convenient place to keep your kitchen herb garden. With custom built shelving cubes, you can organize anything effortlessly, without taking away from your home’s ambiance. Every so often an interior design fad is so integral to a well run home, you wonder how you ever lived without it. With the shelving cube, custom built to your home’s needs, you will never go back to large, ugly storage totes or plastic storage bags. Shelving cubes are insanely popular for the simple reason that they make perfect sense in keeping your home effortlessly organized and sophisticated, while being affordable for any size budget. Shevling cubes just make sense. The perfect playroom. Create the perfect place to play with shelving, drawers and cupboards. If your household has children, then you are likely well acquainted with clutter. Between holidays, birthdays and other special occasions, the toy collection can quickly become overwhelming. By installing custom storage solutions, you can ensure that your playroom stays bright, organized and fun. One common complaint of many families is that the playroom is their most cluttered space. With a wide range of oddly shaped toys, stuffed animals, craft supplies and more, utilising proper storage solutions is important. By installing custom shelves and cabinets, you can create a calm, organized environment that gives your child the floor space to freely enjoy their toys. Colored pencils, crayons, paintbrushes, glue, glitter and markers: if you’re tired of trying to keep your child’s myriad of art and craft supplies sorted, you’ll want to check out our collection of supplies drawers and cupboards. With storage solutions that are customized to fit your space, even the smallest craft space offers a big opportunity for outstanding organization. Protect papers, folders and books from rips and creases while ensuring drawing supplies are kept in excellent condition. We make it easy to ensure that your child’s supplies are easily accessible for whenever the creativity bug bites. While children and parents alike dread cleanup time, a playroom that contains storage solutions such as cupboards, shelves and cabinets makes picking up at the end of the day quick and fun. Shelves and storage containers can be color coded, providing each child with a place to store their special belongings or to ensure that small toys to be put away in their proper place. Drawings can be safely stored away in cabinets with hangers, and books and magazines can be sorted into bookshelves. By creating an organized playroom, you can extend the life of your child’s books and toys while introducing them to the joy of a well-ordered space. As your child gets older and books and school supplies slowly begin to replace building blocks and dolls, a well-organized playroom can easily evolve to meet the changing needs. By utilizing the storage solutions you already have in place, you can ensure that your playroom continues to be a stress-free zone that fosters creativity and allows assignments to be completed efficiently. Factory-made cabinets, shelves and cupboards are often ill-fitting for your playroom, causing you to waste money and space on ineffective storage solutions. By utilizing our customized storage solutions, you can be sure that every toy and art supply has a proper space while maximizing the floor space and aesthetic appeal of your playroom. Enjoy an organized playroom of which you can be proud. Contact lifestyle wardrobes today to discuss your new project. Have you ever daydreamed of having a perfectly organised garage ? If your household is like most, your garage is one of the most disorganised rooms in your home. From gardening equipment to power tools, your garage becomes the landing ground for a wide assortment of hard-to-organise belongings. By incorporating custom built storage solutions, you can reclaim your garage as a well-designed and aesthetically pleasing space. Not only will this allow for ample room for your vehicle, but it may also provide you with a place that is perfect for work or play, especially on rainy days. Whether you want to create a custom workspace or you simply wish to restore your garage’s functionality, we offer the storage solutions you need to have a garage of which you can be proud. By choosing custom designed storage solutions for your garage, you can ensure that you make maximum use of your space. While factory assembled solutions waste valuable floor space and may not properly accommodate your belongings, our custom shelves and cabinets are tailored to fit your space and your things. You’ll never have to worry about finding the tools or gear you need, making it easy to complete home improvement and repair projects. From shelves to cupboards, we can provide everything you need to enjoy an organised space. If your garage offers limited floor space, custom shelves are the perfect storage solution for you. A cost effective way to make the most of your wall space, shelves allow you to keep expensive belongings and equipment off the floor and out of harm’s way. Your tools, outside toys, hobby and recreational gear can be attractively and conveniently displayed. Whether you choose to install custom shelves on a small section of a wall, or you decide to install shelves across an entire wall, you can enjoy more floor space in your garage instantly. Ideal for tools of all sizes, potentially dangerous chemicals, outside toys or anything else that you want to store, custom cabinets are another storage option for any garage. Available in a wide range of sizes, shapes and colours, custom cabinets allow you to create a storage solution that is tailored to the needs of your household. Cabinets also provide the option of lock installation, allowing you to protect expensive power tools or keep harmful chemicals away from children or pets. With customised storage solutions, you can ensure that your belongings are organised and easily accessible. Whether you colour code your custom cabinets and shelves to provide each family member with storage space for their belongings, or you simply want to get expensive tools off of the ground, we offer a wide range of storage solutions to meet your unique needs. Designing your perfect laundry space with clever use of shelves and cupboards. How much time do you spend doing laundry? Most households require a considerable part of each week spent in the laundry room. It makes sense to invest in this part of your home to make it as useful and functional as possible. When you design or make over your laundry room, you can employ custom shelving and cabinetry to create a space that is perfectly integrated with your family needs. Installing custom shelving is an affordable way to create a well-organised space. Shelving allows you to keep useful items within reach but also stored out of your way. Custom shelving allows you to make the most of all your wall space. If your laundry area is small, shelves allow you to effectively employ the vertical space in your room for storing soap, linens, or other items you store in this area. Cabinets are an excellent feature for laundry rooms because they allow you to store items out of sight. You can keep seasonal items stored conveniently as well as extra blankets and linens, detergents, and other items you typically keep in your laundry room. You can even create cabinet stations for each member of your household to store their laundry bins, towels, or other items that belong to them. To enhance the functionality and organisation of your laundry room or area, consider designing your space with custom shelves and cabinets. You can even choose these features to complement the colour and style of your room.